Kingman Historic Theatre: Now You See Me is showing this weekend at the Kingman Historic Theatre! 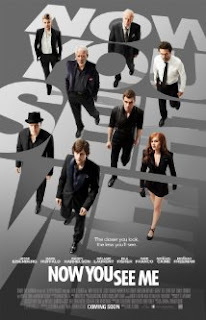 Now You See Me is showing this weekend at the Kingman Historic Theatre! This weekend the Kingman Historic Theatre will be showing Now You See Me at 7:30 P.M. on Friday, June 28 and Saturday, June 29 and at 5:00 P.M. on Sunday, June 30. This movie is rated PG-13 and stars Jesse Eisenberg, Mark Ruffalo, and Woody Harrelson. Check out the Now You See Me trailer.